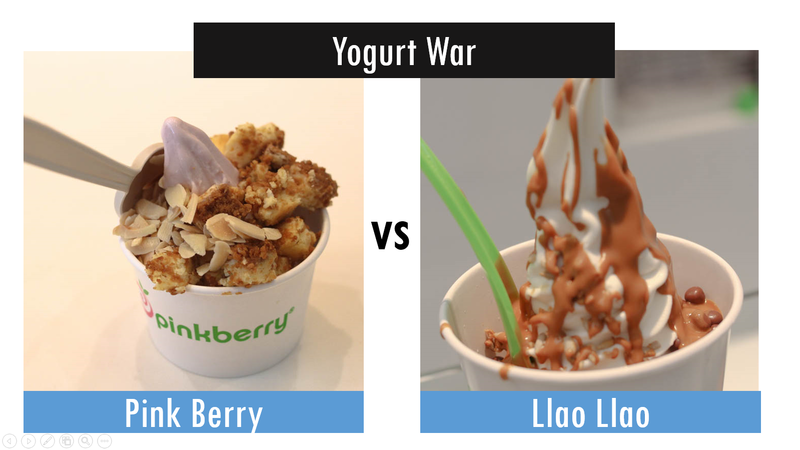 Yogurt War: Pink Berry vs Llao Llao - who'll win? Pink Berry is a world-famous yogurt store and perhaps one of the most established brand when it comes to this sweet tangy dessert. 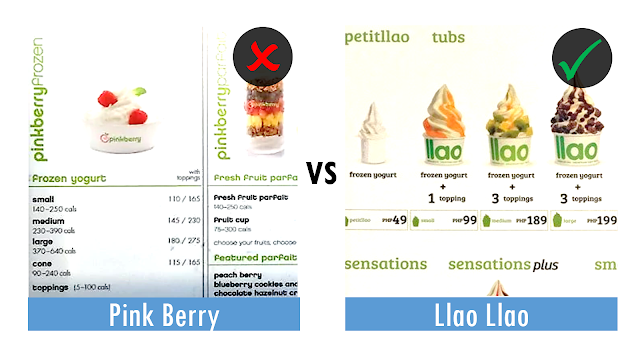 We know that it is very late for us to blog about this, but we just want to share our take on this plus, we are going to compare it with the newcomer called Llao Llao. 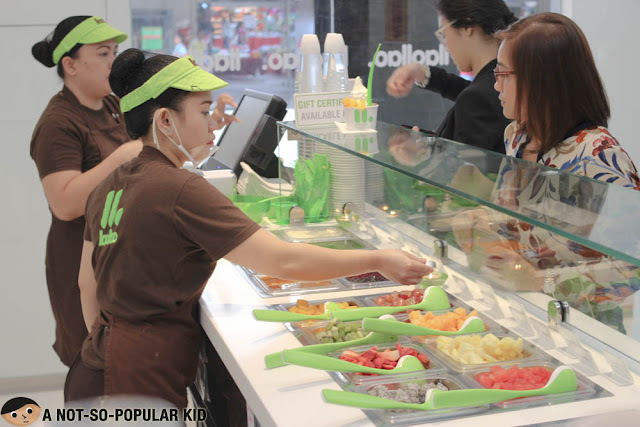 In 2010, Manila experienced a phenomenal yogurt craze sweeping everyone off their feet. The rise in demand eventually led to the rise of several yogurt stores. Unfortunately, just about 6 months after, its popularity steeply waned. Business closed down as fast as they opened up, and the next thing we knew, people were slurping milk teas instead. Despite this phenomenon, only Pink Berry survived the fall making it the sole authority for your yogurt cravings. For several years it reigned until a newcomer from Europe named Llao Llao started invading that space. Most foodies are drawn to something new which is why majority of the attention is presently with Llao Llao. Now that we have a new contender for the throne, which one is worthier? Let's try to take a look. Let's compare the two between 4 criteria, the one with the higher number of check marks wins. In terms of taste, Pink Berry lies on the sweeter side. It's texture is also creamier when you compare it with Llao Llao. I'm not saying one is better than the other, because the truth is I love them both. We usually just depend what we'll have on our mood. So, it means, it's a tie in terms of taste. 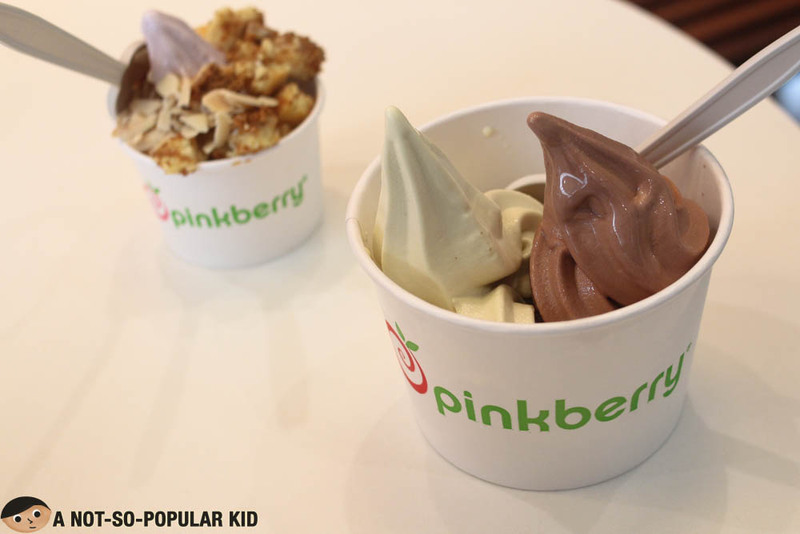 When it comes to variety, Pink Berry seems to have an edge. They have about 5 flavors to choose from as your yogurt base (e.g. plain, pistachio, chocolate, peach and strawberry). Hence, if you get tired of the same old plain yogurt, you have the option to try something different. Llao Llao sticks with the traditional which is honestly not a bad thing. 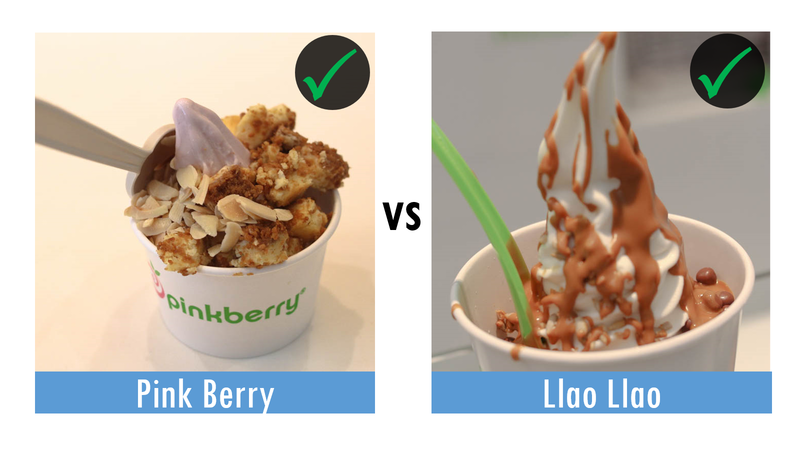 Still, in this category, Pink Berry wins the mark. Judging by the menu alone gives you an idea that you'll save more in Llao Llao than in Pink Berry. Ignoring the difference of the weight, Llao Llao's large serving costs P76 less than that of Pink Berry's. With this, Llao Llao bags the check mark! Ambiance often makes a huge difference, and in this aspect, Pink Berry seems to pick the laid back introvert feels. On the other hand, Llao Llao is quite the opposite with its festive bubbly aura. 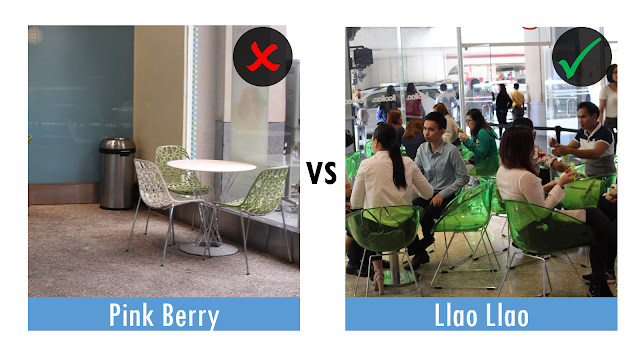 Although each may have its own crowd, we prefer Llao's Llao's ambiance. The Verdict - Llao Llao wins! Using the criteria we set, Llao Llao seemed to have won the war! So, we think it's official. We are #TeamLlao! 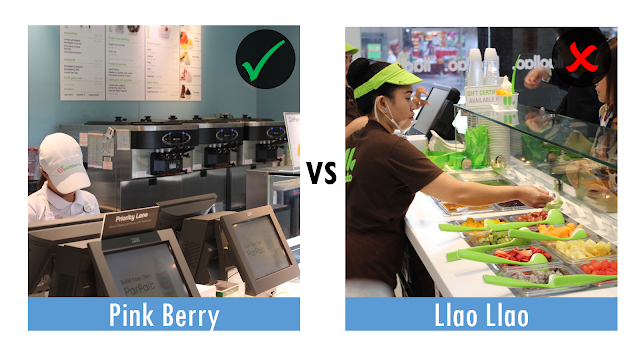 Now, we'd like to hear your thoughts, which side are you on, #TeamLlao or #TeamPB?